Easter Sunday is right around the corner! There are many opportunities for service that day for individuals as well as families. Please pray about how you can get involved as we work together to welcome everyone that will be on our church campus. 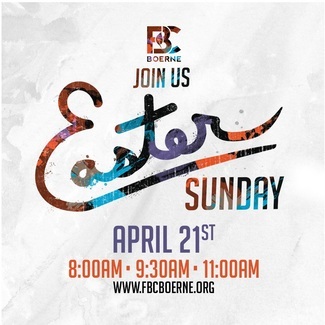 We look forward to serving together as we celebrate the resurrection of our Savior! 04/21/2019 (Sun) Dirt parking lot-near School st. Dirt parking lot-near School st.